I’m the author of eight indie published novels. All my book titles (with one exception) are taken from the names of song tracks. My writing is a blend of drama and romance. My first books were historical (due to the fact the 1960s now fall into the historical fiction category). I now write contemporary romance. I signed to Choc Lit last year and my debut novel The Boys of Summer is out soon. I once had lunch with writer Lesley Pearse. My writing career had just begun so as you can imagine meeting someone who at that time had published around 20 novels was quite an amazing experience. When I was looking for a suitable name to write under (my own is definitely not commercial) I was really struggling to find one I was happy with. One of my aunts had discovered a copy of our ancestry chart (family tree) in Belfast City Library. It dated back to the 1500s when the family lived in York. So I took a first name and surname from there and Jo Lambert was born! My mother, sister and myself all have birthdays in May within eight days of each other. An expensive month! I must have been around seven years old when I announced I was never going to change my initials. I’ve been married twice and my both my husbands have had surnames which begin with the same letter as mine. Purely by accident too! I once sat next to Jamie Cullum in the cinema. This was way back when his career had just got started and he was more of a local celebrity. At the time he was with his parents and a large tub of popcorn. My maternal great grandmother was one of Queen Victoria’s dressmakers. 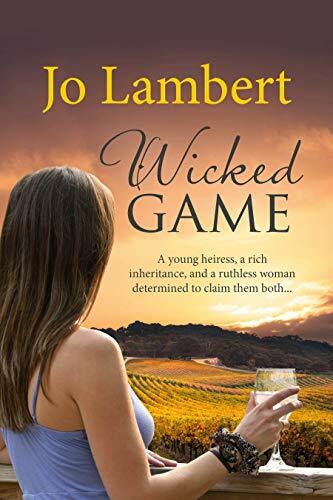 Wicked Game was previously published under the title The Other Side of Morning.